Over on EN24.com a headline screams "WARLORDS OF THE DEEP PILOT ADMITS FOUL-PLAY IN ALLIANCE TOURNAMENT XIII", which to be fair, is a little misleading as the aforementioned pilot himself is quoted as saying "[a]ll things that I hated because they are underhanded but are / were absolutely legal". 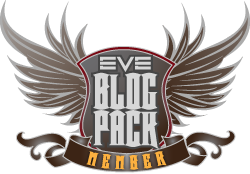 The article is basically a re-posting of an EVE Online forum post found here. Feel free to go read it but basically it boils down to accusations from a pilot of the winning alliance of Alliance Tournament 13, Warlords of the Deep, colluded with second place alliance Camel Empire to fix the results of their matches and share the prize pool. There are no winners here. DHB WildCat is either a lone whistleblower with a sudden bout of conscience (or vengfulness) or a troll that has alienated former friends, most people will assume the worst about Warlords of the Deep and call their victory tainted at best or CCP will determine that they did violate the spirit of tournament rules and remove their prizes at worst, and no matter what CCP's alliance tournament takes another huge credibility blow while its still suffering from previous controversy like Alliance Tournament 9. After assessing all evidence available to us, we have determined that Warlords of the Deep and The Camel Empire colluded to fix the result of Series 117b (the second match of the BO3 Quarter Finals between the two teams). As such, all Prize ships, medals (both inventory items and character sheet) as well as the Alliance Tournament Cup will be confiscated from both teams. PLEX rewards will remain as they achieved a position in the top 16 before the match they colluded in. 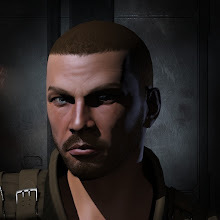 Additionally, the team captain for Warlords of the Deep (Kadesh Priestess) is permanently banned from participating all CCP Tournaments (including the upcoming Amarr Championship), while the captain of The Camel Empire (Bob Shaftoes) is banned for a period of one year from the conclusion of the tournament (until 2016-08-30). This includes any character they control, or any alliance they may be executor or captain for even if they do not wish to fly in the tournament. A number of players from outside the teams purchased prize ships. The ISK from these purchases was previously placed in escrow, and will now be returned in full. Anyone that this affects will have previously received information regarding this matter when the ships were originally frozen. The two alliances themselves and all other players on those teams will have no further actions taken against them as we do not have specific evidence that they were involved. However, the two teams will need to select new captains or executors as per above if they wish to compete again. All remaining teams will be move up two positions in rankings and prizes (other than PLEX) will be redistributed on this basis. While we can’t know for sure that the tournament would have resulted in the same way if the two teams had not been competing, we believe this is the fairest way to handle the situation after the conclusion of the tournament. Note that as there is no clean way to determine which of the two teams would be placed 3rd or 4th, we have decided to instead split the prizes of the two positions evenly between each team (5 ships each). However, both teams will receive 12 inventory medals each. Finally, we are looking to make the rules more stringent in the future with regards to working with other teams. Details of these will be announced in the future, but in many cases, if we think it seems suspicious, we’ll be inclined to remove your team from the tournament. If any players have further questions, please feel free to ask. Well, colour me surprised! I honestly didn't think anything was going to come of the allegations from September as I assumed it would be hard for CCP to verify any of them, but apparently the logs do show something and the retaliation hammer came down hard and swift. Not only do Warlords and Camel Empire lose their prize tournament ships, they don't get to partake in any of the ISK rewards for performing well in the tournament. Its as if they didn't win a single match. I also want to say that i disagree with the final placings, while nulli indeed lost to pl neither the tuskers nor exodus did. They simply got seeded in a different spot and had to to meet hydramel twice before pl had to, which - just as pl, knocked them out. In that persective, 3 of the top 4 went unbeated by any legit tournament team, crowing any one of them as the number 1 is wrong and unfair. Simply not crowning a victor and destributing the prices in a even matter amongst the top 4 would be by far the better ruling. That's how tournament brackets work at all. Warlords/Camel were disqualified due to Match 117b being fixed, which is after the match that knocked Exodus into the Losers Bracket. Tuskers were in the Losers Bracket already at that point as well, while simultaneously PL were advancing higher in the Winners Bracket which put them at a higher seed. That's how the double elimination bracket works, people in the Winners Bracket are seeded higher as they progress. PL eventually ended in the Winners Bracket finals (Match 123a), which again placed them under the double elimination bracket system at a higher seed than Tuskers & Exodus. This is how that sort of system works and determines who is in what position. Instead of demanding CCP give teams that didn't get seeded higher in terms of the bracket ships they didn't earn, it'd be a far more logical step to argue that the double elimination bracket system is faulty and needs contingencies to account for these sort of things if not have the AT use a wholly different system. In other words, there are no real winners here, just losers. I really think its time for CCP to retire the alliance tournament format for something that has less opportunity for collusion and gaming the rules. This latest episode has left me with the feeling that the whole institution for the top teams is just another mechanic to be abused and pushed to the line of exploit without going over the literal interpretation of the rules by the top teams. The spirit of the tournament is lost now as greed has taken over. "I really think its time for CCP to retire the alliance tournament format for something that has less opportunity for collusion and gaming the rules. " I posted something like that on your previous post and got reacted too pretty harshly, let us see if you get the same results here :P.
If they had imposed permabans on the worst offenders, that would send a clear signal that such behavior is not tolerated by CCP Games, and would go a long way towards discouraging collusion. Rather than retire the alliance tourney format altogether, because of bad decisions by a small number of participantthes, CCP could just crack down hard on those who violate the rules - or even the spirit of the rules. In my opinion, CCP showed remarkable restraint with the decisions they made in this case. Yeah... some EVE players "gamed" the AT so let's get rid of the AT. By this logic baseball should have been shut down as a 'legitimate' sport YEARS ago... as is true of almost, if not ALL other sports where collusion, game rigging, and bad sportsmanship has taken place... Really?? FFC come on! 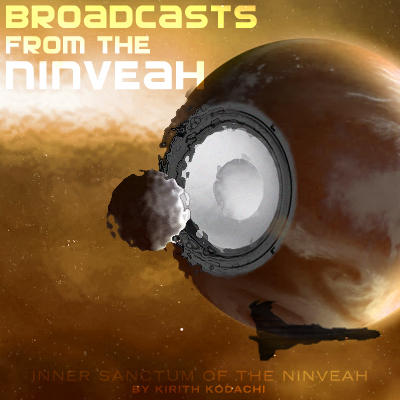 Kirith I know you are no fan of the AT, but a helluvalot of us are and the vast majority of players who take part in the AT are playing a basically honest game within the rules of EVE (which does allow spying etc.). I know about this personally, me and my guys were in SYJ the year they were in the AT and while I didn't get to fly, my son did... and even that rabble of magnificent asshats played it straight. Kirith, Rob... doing it your way punishes everyone for the bad acts of a few... I know you 2 don't like the AT, but do you really feel taking it way from everybody is the way to solve the Riddle of the Bad Apples? I sure as hell don't... I enjoyed the crap outta this AT and all the one before and if you guys wanna rank on sports... how about European Football fans hmmm? A nicer, more rule and law abiding group 'a guys you won't find anywhere else... right? And CCP did say, "...we are looking to make the rules more stringent in the future with regards to working with other teams." For now, that's good enough for me. Tur, I think you misunderstood and overreacted what Kirith actually wrote. As per my understanding, he doesn't want to remove the whole AT, just to rethink the way teams are pitted against each other. The double elimination, the brackets and so. It wouldn't help against rulebreakers, but could improve the way how the new rankings are set after such regrettable events happen. It's a lot milder than what you wrote (and a lot more believable for me coming from Kirith). Yes, I am not arguing for any and all CCP sponsored tournaments being stopped, but for a re-thinking of how the tournament works from ground up, including format and prize allocation.